In this case study between Balham and Tooting, we installed double glazed sash windows and then installed a draught proofing system to upgrade sound proofing and heat retention. The original were not in good enough to condition or we would of double glazed them rather than replacing. The sash frames were in excellent conditioning ideal for double glazed sash windows to be installed. We also draught proofed some original sash windows where noise was less of an issue. 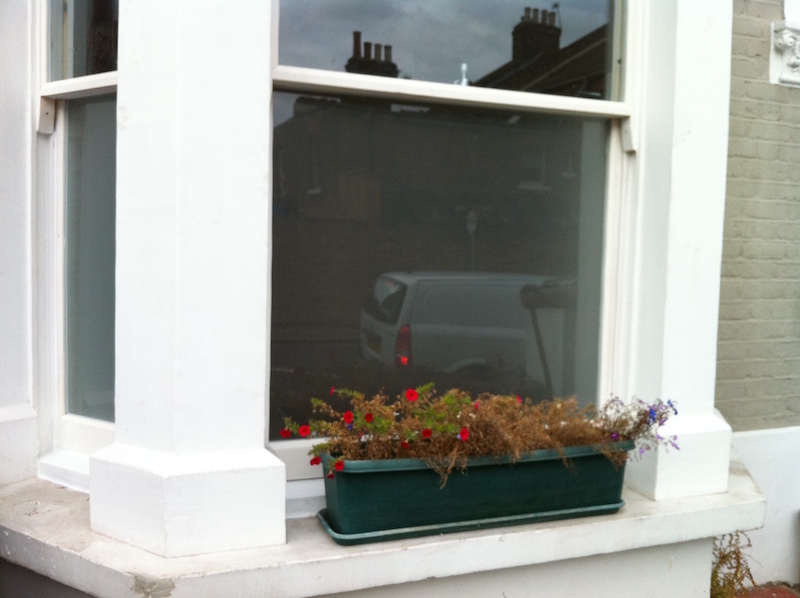 These windows did not require any sash window repair, however this is a service we offer. If you’d like to learn more about sash window repair then please follow the link and you’ll find a wide range of refurbishment and restoration services including sill replacement, sash replacements, overhauling, and resin repairs. In this example the client wanted to have double glazed sash windows with privacy glass. It cut out a little light but the privacy more than made up for the loss. We upgraded the security, and the client wished to decorate these windows himself so this wasn’t part of our service, although we are happy to do so on request. Please take a look at our sash window painting decoration page for further information. Let’s go through the entire process from start to finish. The first process is to make doubly certain the new sash are measured and fit exactly, before removing any sash at all. Once this is checked then dust sheets and laid and the old sash removed. As previously mentioned it is unfortunate the the originals couldn’t take a double glazed unit but there is no point doing a job that isn’t structurally strong and won’t last. Normally double glazing existing sash windows work just fine. Please follow the highlighted resource to learn more about double glazing original sash windows. Our double glazed sash windows are discreet and well built. We offer our sashes in a range of finishes from plain timber, primed and undercoated, to glossed. 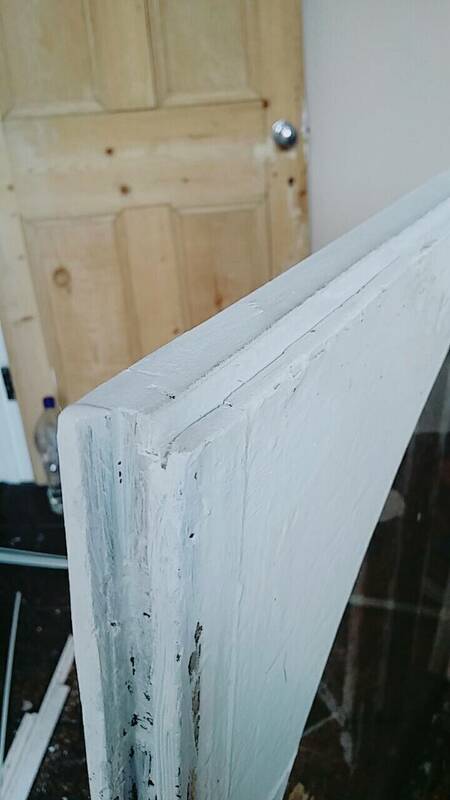 In the example below of our double glazed sash windows the client wished to have windows primed and undercoated, so that he could save some good money painting himself. Sash window double glazing close up. this sash is primed and undercoated ready for decoration. Once the old sash are removed the new double glazed sashes are offered into position to check for meeting rail alignment and correct fit on the head of the sash window. Sometimes the original frames have moved and you might notice a gap from left to right, or the other way round. This gap is as a result of subsidence, and it’s perfectly normal but it is important that the sash is machined to make a close fit. Once the sash are machined and aligned the draught proofing grooves are run. These are rebated and hidden within the frame so that the system cannot be seen when window is closed. The brush piles are made of Nylon and built to last. If you might like to learn more about draught proofing then please follow the page provided. There are images that explain the draught proofing system, how it’s installed in detail, and the benefits of draught proofing. Here’s a look at the sash being machined for draught proofing. As you can see we groove into the sash which will then form the draught proofing system. This is then hidden once the window is put back together. 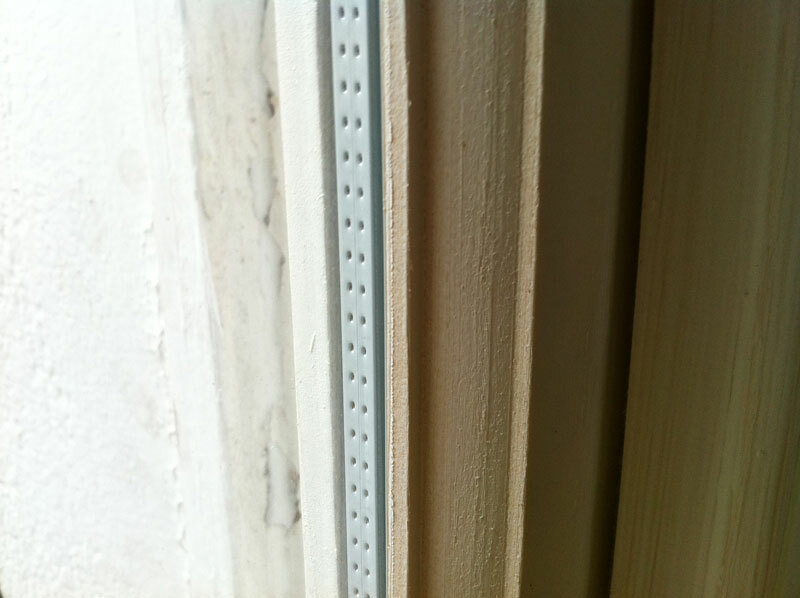 Sash window draught proofing installed into sash. As you can see the brush pile protrudes from the sash and then will push against the frame creating a tight seal. The brush pile is made of nylon to help improve the lifespan. Normally brush pile will not need replacing for at least ten years and when it does, you won’t need to pay in full again as the pile carrier will be in good condition and a new draught seal can slide right in. This is a huge benefit, especially if an error is made in painting or a draught seal is in some way damaged. It will mean a quick swap over costing just a few pounds in materials. Once the double glazed sash windows are draught proofed it’s time to install the sashes back. New parting and staff bead is included and has the draught proofing system ready installed. We offer uprated hardware to protect your home on request. Sash window restrictors are commonly used and inexpensive, they also offer serious piece of mind. The grommets are large and robust, therefore breaking in is virtually impossible without breaking glass. Not only that, they are also accepted by insurance companies and you would be covered in the event of a break in. If you are in Balham or Tooting and would like double glazed sash windows or your windows installed with a draught proofing system to upgrade sound proofing and heat retention then please feel free to get in touch today!